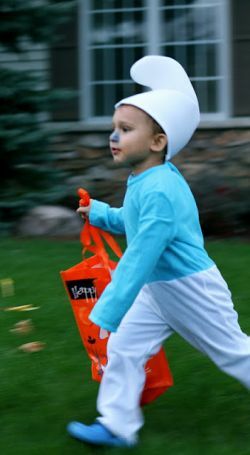 A Smurf costume has become a Halloween favorite once again. 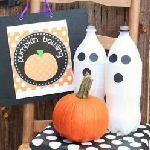 These adorable characters are making a comeback and are wildly popular. 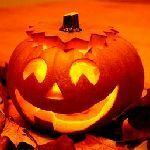 Trick-or-treating is the perfect opportunity for kids to pretend to be their favorite Smurf character. The descriptive Smurf names help guide Mom in costume selection. 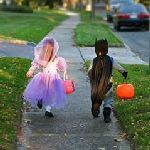 There are costumes sized to fit infant/toddler, children, and adults, so get the whole family involved. 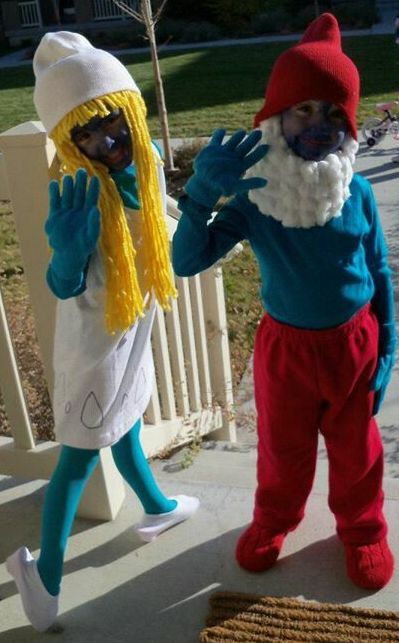 Trick-or-treat night will look like the whole Smurf village is out on the town. Pretending to be a Smurf is more than a just a one night wonder. 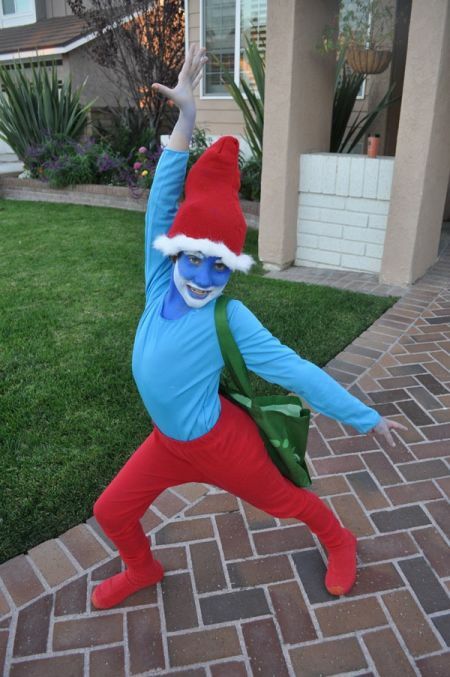 Children enjoy wearing their favorite Smurf costume long after Halloween is over. 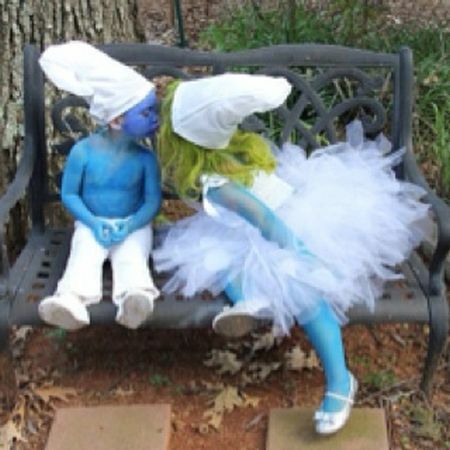 Meet the most popular Smurfs to choose the perfect Smurf costume. The Smurfs are very short characters who look essentially alike with matching white pants and white hat, and of course blue skin. There are some exceptions such as Papa Smurf who wears red pants and hat, and Handy Smurf who wears overalls and a brimmed hat. They each have a characteristic which is revealed in their Smurf names. The oldest and wisest Smurf. He is the only Smurf who wears red. He is a wizard and the leader of the village. Everyone turns to Papa Smurf when problems arise. Has blonde hair, wears a dress, and was the first female in the village. The evil Gargamel created her in his laboratory using: "Sugar and spice but nothing nice...A dram of crocodile tears...A peck of bird brain...The tip of an adder's tongue...Half a pack of lies, white, of course...The slyness of a cat...The vanity of a peacock...The chatter of a magpie...The guile of a vixen and the disposition of a shrew...And of course the hardest stone for her heart....". He then brought her to the village to destroy the Smurfs. Papa Smurf performed "plastic smurfery" and used his magic powers to turn her into Smurfette. Claims to be the smartest Smurf in the village, although he usually creates more problems than he solves. He wears large black glasses to look intelligent and his favorite saying is "Like Papa Smurf always says...."
Makes all of the Smurfs' clothing. He wears a tape measure around his neck and has needles stuck in his hat. Thinks he is the most beautiful Smurf of all. As he looks into his mirror he says, "Aren't I the most Smurfyest Smurf you have ever seen?" The village cook who eats more than he can cook. His favorite saying is, "When do we eat? I'm starving!" Loves to play tricks by saying "I've got a surprise for you!" He then tries to give a present that explodes to the other Smurfs. The handyman of the village. He wears a pencil behind his ear and is known for his creations. The laziest Smurf and falls asleep any time or anywhere. The Smurf Village's musician. Although he loves to play the trumpet, no one wants to listen. Design your own Smurf costume. 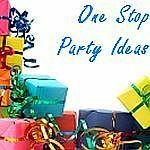 Choose from masks, hats, gloves, shoes, and make-up to create an original Smurf costume. Remember to smurf it up with great accessories to show off the distinctive personality of each Smurf. Meet the villains to choose a Smurf costume from the dark side. The enemy who is always trying to capture the Smurfs. At times he is successful but they always manage to get away. He never gives up and declares "I'll get them all if it's the last thing I ever do". Gargamel's pet cat. He reluctantly goes along with Gargamel's schemes to capture a Smurf. Azrael shares Gargamel's wicked laugh. 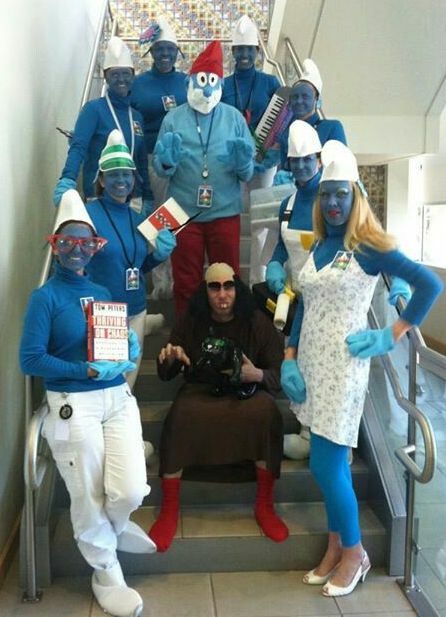 Meet the Smurf characters from the 2011 movie. Described as 'brave to a fault.' He wears a Scottish kilt, has an accent, and has brown sideburns. The scaredy cat of the village. He always panics when he is afraid. Really, aren't we all in our own special way. A new character in the movie. Narrates what happens during the movie, much to Grouchy's dismay. The Smurfs are a small group of blue fictional characters. They were first introduced in the comic strips on October 23, 1958 by a Belgian cartoonist Pierre Culliford. Culliford created the comic strip series entitled Johan and Peewit which was set in Europe during the Middle Ages. Johan was the king's brave young page and Peewit his sidekick. During their adventures they met tiny, blue-skinned creatures in white clothing and their leader who wore red clothing and had a white beard. These blue Smurfs soon became a huge success with their own stories appearing in 1959. The Smurfs live in mushroom houses in their own little village. This village located deep in the forest is impossible to find except when led there by a Smurf. Gargamel, the enemy, is always trying to find the Smurf village and capture these blue creatures. The Smurf village is led by Papa Smurf and runs based on the idea that each one has something to contribute. In return, each Smurf receives the necessities of life without the use of money.